Pre-K lesson plans for the theme of winter may vary depending on where you live therefore it is a good idea to discuss the weather around the world in your winter lesson plans. 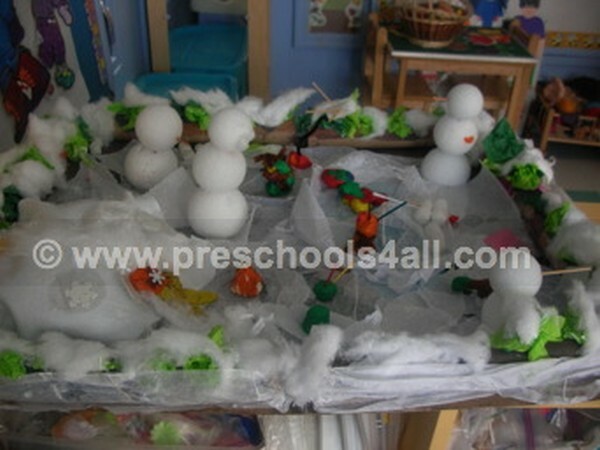 The preschool winter activities below are written for the cold winters we get here, in the northern part of the planet. Brrrrrrrr. 1. How do we adjust to the changes in the weather? 2. What are some winter activities? 3. How do the animals adapt to the weather? When Lisa hangs her woolen clothes in the sun to air them out for winter, the hedgehog, to the amusement of the other animals, ends up wearing a stocking on his head. While the animals laugh at the hedgehog deep inside they wish they were just like him. 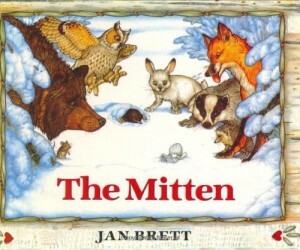 One by one the forest animals snuggle inside Nicki's mitten. 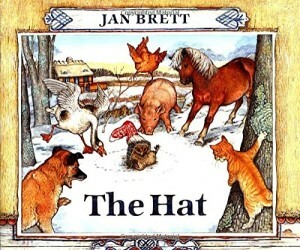 A classic folk's tale that teaches the children the valuable lesson of sharing the space and making room for just one more. 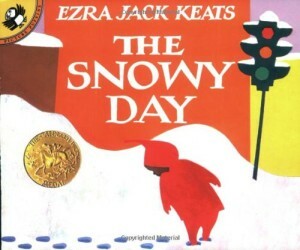 A funny tale of what happens when a stubborn little boy refuses to put on his snowsuit. 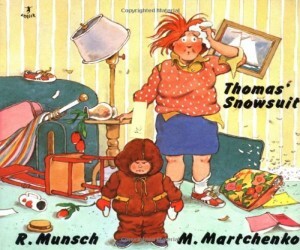 Robert Munsch finds a way to make us laugh about the frustrations we feel when dealing with strong willed children. Through the beautiful images and gentle words we enter into a day in a life of a little boy as he spends time outside discovering all the fun things you can do on a snowy day. Turn your drama corner into a cave with costumes of animals that hibernate during winter. Below are images of my preschool winter activities. To learn about the process of making these art activities visit my winter art activities section. Expose the children to words such as hibernation and migration. Clothing words: Boots, coat, scarf, hat, mittens. Weather words: Cold, ice, snow, melt, icicles, snowman. Winter activities: Skiing, sledding, tobaggon, skating, shoveling. 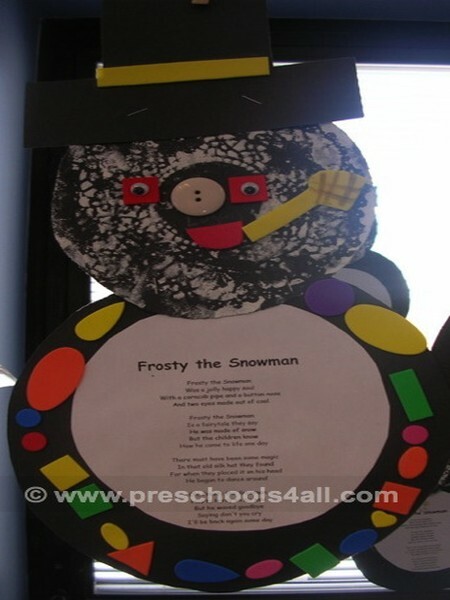 Frosty the Snowman is a great song to teach. Use the concept of size: Big, medium, small as you teach the children how to draw or build a snowman. 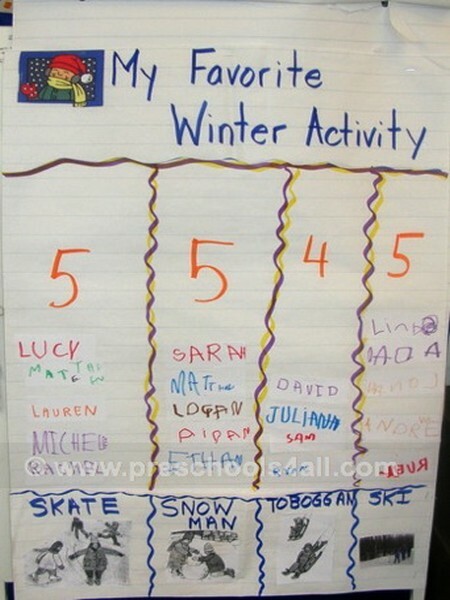 Create a graph with the children's favorite winter activities.